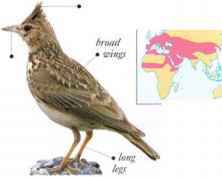 1 his small and inconspicuous lark inhabits arid areas with sparse vegetation. It feeds on seeds and insects. 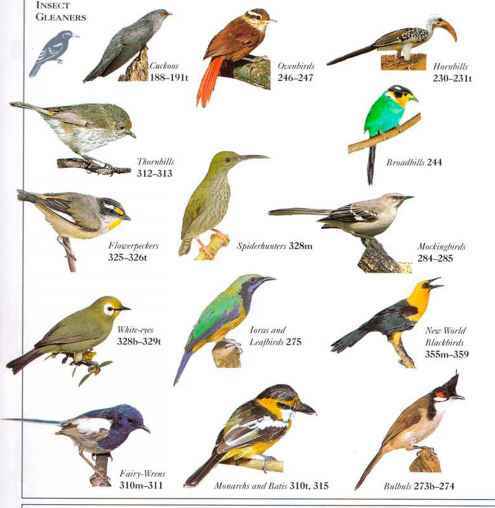 Males perform a spiraling songflight. • NEST A deep, cup-shaped nest in a hollow, sheltered by a stone or a tuft of grass. • DISTRIBUTIONS. Spain, N. Africa, Middle F.ast, C. Asia, E. Asia. Northeastern populations migrate south.